One thing that Kiddy Junction takes pride in is the enormously positive feedback we receive from the hundreds of families, educators, and schools who we work with. Without their support, our program would mean nothing. Below are some of the thoughts and feelings of people who have been a part of Kiddy Junction. "KJA has been home away from home for our daughter. She enjoys the activities and has made many friends. We've been delighted to see her develop socially and learn life skills as well as explore topics of interest... It makes it easier going to work knowing she is well cared for and stimulated." "We have seen such a growth with Mya. Her confidence and personality has really developed since joining KJ. The school is professional, kind, warm, and caring. You can tell they are there for the right reasons." 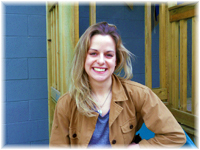 "I cannot express enough how lucky he (we) have been to have found Kiddy Junction when we did. Kieran has loved every minute of the experience and has learned so much. And I have had the spectacular fortune of being able to feel secure and at peace leaving him in the care of such fabulous teachers and in such a happy and positive environment. Thank you all so much for everything, we without question recommend KJA to others without hesitation." 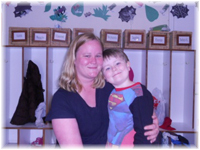 "My son Edward has been attending KJA for over a year and he absolutely enjoys going there every day. At KJA, Edward explores a variety of things such as the universe and dinosaurs with his friends and teachers through readings, discussions, experiments, and crafts. KJA offers a unique environment including the presence of plants and animals. Edward also participates in 'Kindergarten Club' where he learns the alphabet, numbers, and writing. KJA truly is a fun and safe place that our family loves." "Kiddy Junction is a wonderful Academy. Hunter comes home every day with stories and things he has learned! 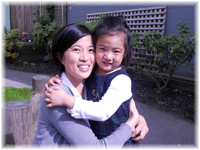 KJA is lovely for their consistency, daily routines, and communication with parents." "I just wanted to give you feedback regarding the "Progress Reports". Great Job Guys! Coming from a daddy who does not get to drive him or pick him up each day, this was fantastic, what a great way of keeping in touch. You can tell how much work goes into these reports. We sit down together every night for supper (TV and music off) but it can be difficult to pull conversation about his activities and day's events, we try and will keep trying and this report gave me many ideas and topics to talk about. I like the "favorite area", and love the quotes. Keep up the great work." "Again, I would like to take this opportunity to thank you for all the things that being at your Daycare taught Aiyana. The teachers at her new daycare have so many good things to say about her. She didn't have any trouble adjusting at all and on her third day at the new daycare, the teachers told me she had very good table manners - I know she learned those at your daycare. They even thought she was already 4 years old because they find her vocabulary quite advanced for her age. They have put her with the older kids during circle time who are now learning about "sounds" because when they did an individual assessment, they found out that she already knows the alphabet really well. Kiddy Junction is definitly unique in a very positive way." "This is a wonderful daycare. My kids love it. They like to come early and stay late. They have a lot of fun and are always happy. They've shown an amazing development. Wonderful teachers!" "My son Benjamin looks forward to coming to KJA every day. It helps ease my mind knowing he is at a daycare he loves going to."